For security reasons, the password must be at least 6 characters long. 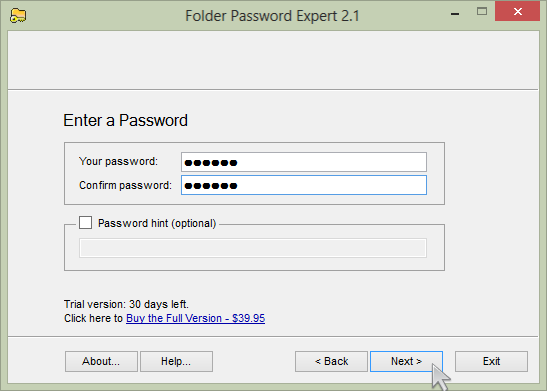 Both password fields must match, otherwise Folder Password Expert will display an error message. Remember that the password is case sensitive.